This isn’t your everyday 52 Card Pickup! 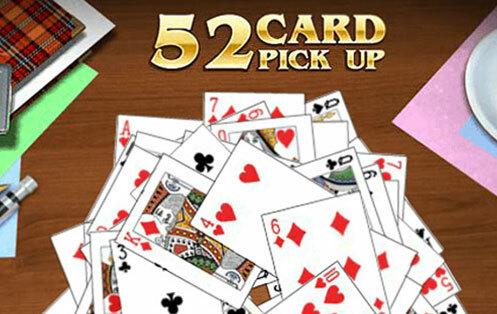 The objective is simple, pick up all 52 cards as fast as you can, with one catch… Starting from whatever card you decide to pick up first, the next card you choose must be either one unit higher, lower, or the same. Remove all the cards in the allotted time to win! Classic Solitaire Play Classic Solitaire, the ultimate game for Solitaire lovers! BlackJack Play free online blackjack—also called 21—the classic casino card-game of luck and skill! Hearts Multiplayer The best version of this classic, trick-taking card game. Play for free online against humans or the computer! Klondike Solitaire Play free online Klondike Solitaire, the ultimate game for solitaire lovers!